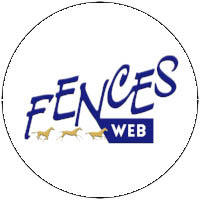 From their Spring and Autumn European selection tour, the Fences partners have chosen 22 promising two-year-olds (14 stallions, seven mares and one gelding), to be auctioned on December 11 via Fencesweb. The collection includes sons of popular stallions such as Chacco Rouge (Chacco-Blue x Papillon Rouge); Zirocco Blue/ex Quamikase des Forets (Mr. Blue x Voltaire); Mylord Carthago (Carthago x Jalisco B); and Vagabond de la Pomme (Vigo d'Arsouilles x For Pleasure). Plus rising star sires, including the father of SF three-year-old champion champion, Carinjo*HDC/ex Carinjo 9 (Cascavelle x Landgraf I); Dominator 2000 Z (Diamant de Semilly x Cassini I); Cristallo I (Cornet Obolensky x Cassini I).... As always, Fencesweb levies no fees to buyers.